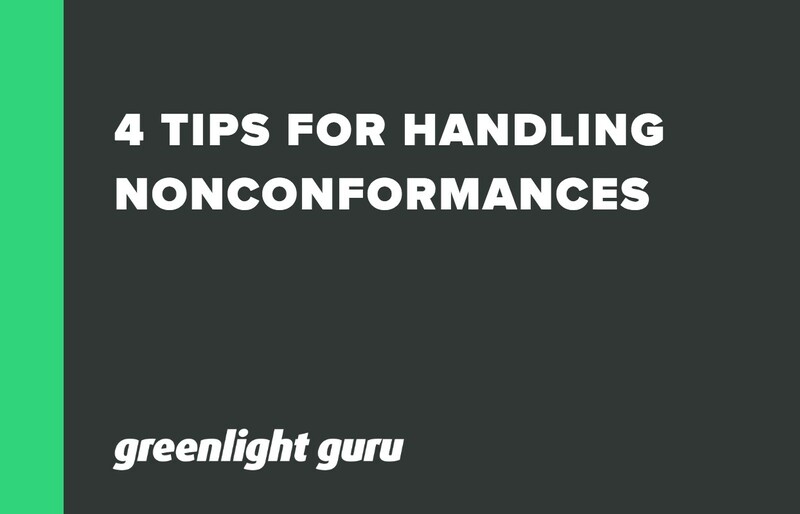 NONCONFORMANCE MANAGEMENT IS A SET OF POLICIES AND PROCEDURES FOR IDENTIFYING, DOCUMENTING, EVALUATING, SEGREGATING AND DISPOSING OF PRODUCTS THAT DO NOT CONFORM TO THE MANUFACTURER'S SPECIFIC REQUIREMENTS. The quality management guidelines set forth by the FDA and ISO have been put in place to help ensure that the end users of medical devices can benefit from a device that is both safe and effective. Simultaneously, the guidelines protect manufacturers by helping them establish a system that produces safe and effective medical devices that can be sold around the world. The FDA and ISO require medical device manufacturers to establish protocols for dealing with instances of non-conforming devices, ensuring that the devices are not mistakenly sold to the public and that manufacturers diligently identify and investigate the root cause of any non-conformance issues that arise. Control of the non-conforming product - Manufacturers need to have a way to identify instances of the non-conforming product. This could be random sampling, batch testing, or internal quality audits that include several types of non-conformance testing. Non-conforming products need to be evaluated to determine if a further investigation is warranted, and the person responsible for the non-conforming product should be notified. The results of the evaluation and any follow-up investigation should be documented. Review and disposition of the non-conforming product - Manufacturers should create a procedure that defines responsibility for reviewing non-conformance issues and authority for disposing of affected products. The procedures for review and disposition should be documented in the QMS. Rework policy and procedure - Manufacturers must create policies and procedures for reworking non-conforming product, including a protocol for retesting the reworked product for conformity with specifications. If the non-conformance issue is minor, the manufacturer may decide that no special action is required and the device can be used as-is. Whichever route is chosen, the manufacturer must ensure that documentation is created to describe and justify the action that was taken, along with the documents that describe the evaluation and investigation process. When an instance of non-conformance is identified as part of an internal quality audit or quality assurance process, it may warrant escalation to a CAPA issue if an evaluation determines that the issue could happen again. The FDA's guidelines for CAPA require medical device manufacturers to investigate the cause of any non-conformance event and identify actions that would prevent the event from recurring. Manufacturers can undertake a root cause analysis and initiate their CAPA procedure to identify and correct the underlying causes of an identified nonconformance issue. When the FDA audits your medical device company (and they will), you will need to show that you have taken steps to identify instances of non-conforming product, conducted evaluations and investigations in relation to those identifications, and that someone reviewed those materials and authorized a particular course of action for dealing with each non-conformance event. Greenlight Guru's Quality Management Software helps manage and control your medical device company's documentation in compliance with FDA and ISO guidelines for nonconformance management. You'll also benefit from an electronically-accessed nonconformance management system that's closely connected with your CAPA process, ensuring that you’re able to focus on achieving True Quality even when you have a non-conforming event. How should your device company handle nonconformances? Here are a few tips for taking appropriate action. Overuse or underuse of CAPA are common issues in medical device companies. 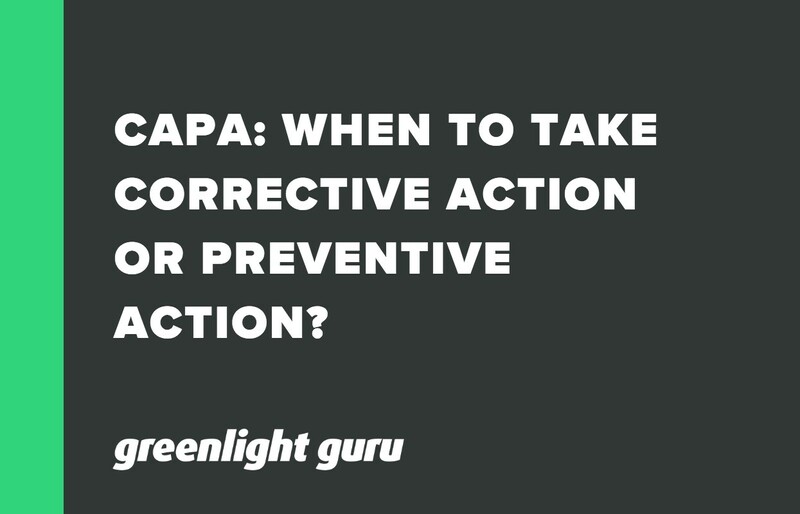 When should you use CAPA? 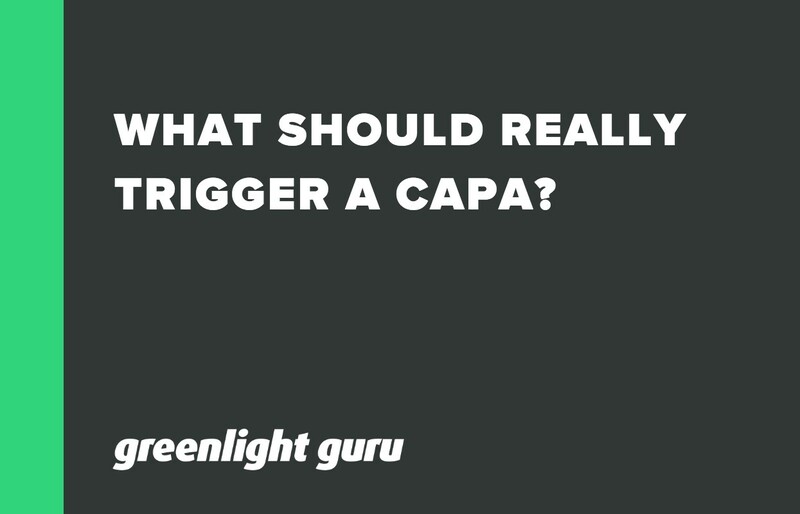 Dealing with CAPA? Here’s where you’ll use a corrective action or a preventive action.